This time I am looking at a different package. This is a package called goexif at https://github.com/rwcarlsen/goexif. Being a file parser, it's a prime target for Go-Fuzz. Unfortunately it has not been updated for a while. Instead, we will be looking at a fork at https://github.com/xor-gate/goexif2. Steps are similar to the previous part. If panics have been fixed, you can clone the commit e5a111b2b4bd00d5214b1030deb301780110358d. During fuzzing I got a lot of crashes that were caused by lack of memory. This usually happens when random bytes are read as field sizes and the size is not evaluated, thus the package will allocate very large chunks of memory. Looking at the fuzzer, we can see our restarts ratio is crap. This is the ratio of restarts to executions. We want it to be around 1/10000 but we have fallen to 1/1500. This means we are crashing a lot. After a while, Go-Fuzz might even stop working (see stagnating total number of execs in the picture below). This means we are running out of memory and it's not a legitimate crash. Before continuing we need to go and investigate the root cause. Fix bugs that result in the allocation of large chunks of memory. Run fewer workers with -procs. By default Go-Fuzz uses all of your CPU cores (including virtual). Let's look at our crashes. // Sample app to test crash a5 for xor-gate/goexif2. As you have noticed, the constant 2684354560 is more than the maximum of signed int32 (2147483647). However, when trying to cast this value locally in Windows 10 64-bit VM or on the Go playground we get different results. // Testing overflow on int. Running this in the Windows 10 64-bit VM, does not return an error. While running the same program in Go playground returns this error prog.go:8:11: constant 2684354560 overflows int32. // Get OS and architecture. amd64p32 means it's a 64-bit OS using 32-bit pointers and ints. We can use unsafe.Sizeof to see this. // Get int and pointer size. Note: Pointers are just memory addresses. It does not matter what they are pointing to. As you can see*float32 has the same size as a *int32 or *int64. Lesson #1: int is OS dependent. It's better to use data types with explicit lengths like int32 and int64. Also if you do not need negative numbers, use unsigned versions (but be careful of underflows). // but since the cap is only being supplied implicitly, saying len is clearer. // maxSliceCap from the same file. // maxSliceCap returns the maximum capacity for a slice. _MaxMem is calculated in malloc.go and it dictates how much memory can be allocated. On Windows 64-bit it seems to be 32GB or 35 bits. 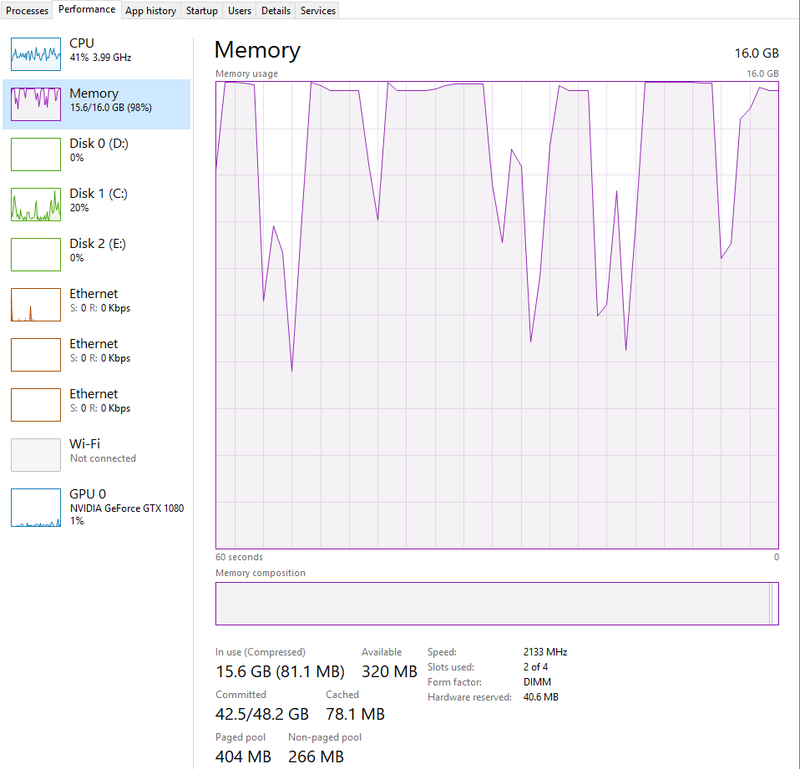 Root cause analysis: We are allocating too much memory. Lesson #2: Amount of memory available for malloc is OS dependent and somewhat arbitrary. Lesson #3: Manually check size before allocating memory for slices. But t.Count has to come from somewhere. t.Count is calculated a bit further up at line 133. // MaxUint32. This is probably not a valid value, so return early. TIFF fields (also called entries) contain a tag, its type (e.g. short, long, rational, etc. ), a count (which indicates the number of values/offsets) and a value/offset. Lesson #4: After reading data, check them for validity. This is more important for field lengths. I could not find anything about the maximum number of types in a tag in the RFC. But it's a dword (4 bytes) so it can contain values that cause the panic in makeslice. We can choose a large enough value that does not cause the panic. I think 2147483647 or 1<<31-1 is a good compromise. // Also check for invalid count values. // tag's Format is not IntVal. It panics if i is out of range. It's known that this method can panic. We need to modify it (and the other similar ones) to return an error instead. The fix is straightforward. Before accessing t.intVals[i] we need to check if the index is valid. This can be accomplished by checking it against len(t.intVals[i]). Lesson #5: Check index against array length before access. Looking at the function we can see by ignoring the errors, we will have garbage data in the JSON. However, I don't think we need to return errors here but I could be wrong. After things are fixed, we need to add the crashes to tests. This will discover if these bug regress in the future. Unfortunately, the package uses go generate to generate tests and I have no clue how to use it. But I know how to write normal Go test using the testing package. Our payloads are pretty small so we will embed them in the test file instead of adding extra files to the package. // Test for Go-fuzz crashes. Lesson #6: Add Go-Fuzz crashes to unit tests. This is useful for regression testing. We used our newly acquired knowledge of Go-Fuzz on an image parser. Go-Fuzz can crash when running out of memory and return false positives. We can throttle it or fix memory allocation bugs before resuming. Use data types with explicit lengths such as int32 and int64 instead of OS dependent ones like int. Amount of memory available for malloc is OS dependent and somewhat arbitrary. Manually check the size before allocating memory for slices. Check data (esp. field lengths) for validity after reading them. Check index against array length before access. Add Go-Fuzz crashes to unit tests. Thanks for reading and please let me know if you have feedback/tips/critiques.